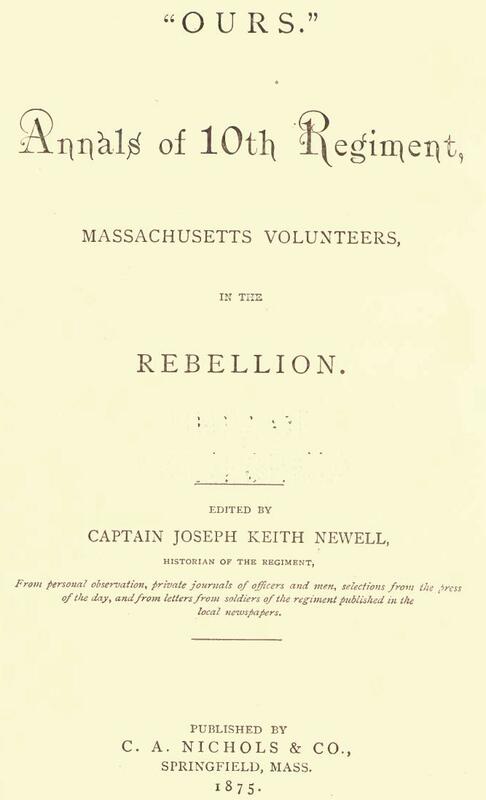 Title: “Ours.” Annals of 10th regiment, Massachusetts volunteers, in the rebellion. Publisher: C.A. Nichols & Co.